Paddling the Huron from Hudson Mills Metropark to Delhi Metropark. 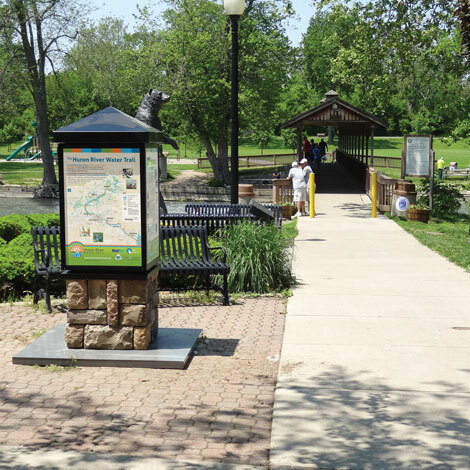 Kiosks featuring Water Trail information like this one in Flat Rock’s Huroc Park are in each of the five Trail Towns. Enjoying fall colors on the Huron River at Delhi Metropark near Dexter. 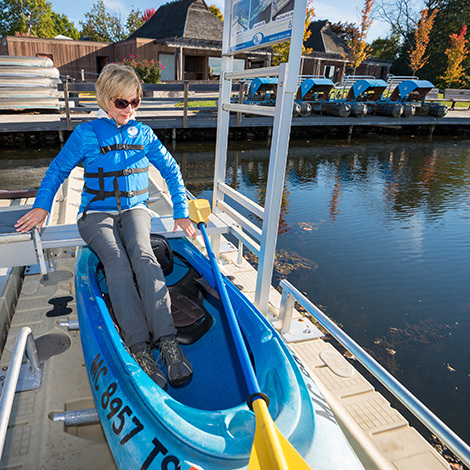 The Ann Arbor Gallup Canoe Livery EZ Launch has a transfer system for canoes and kayaks that provides universal access for paddlers with disabilities or anyone needing extra assistance. March 2, 2019 (Saturday). Save the date! 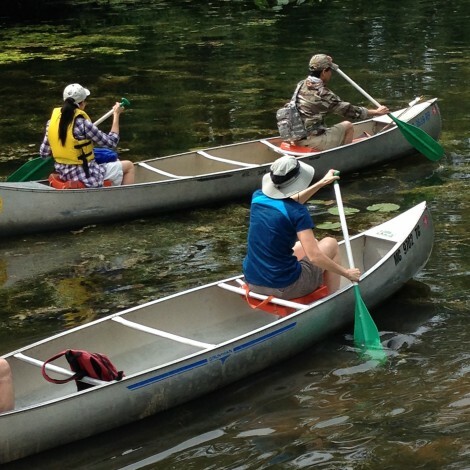 Join the Huron River Water Trail and Michigan’s best outdoor recreation providers, experts and outfitters in East Lansing for talks, demonstrations and exhibits. Plan your summer paddling adventures at this day-long indoor expo. Details COMING SOON! This 50-plus page waterproof map flipbook for the entire Water Trail includes launches, liveries, parks, amenities, hazards and more. There are latitude and longitude coordinates for all launches and recommendations for a five-day paddle-through with options for camping . It makes a wonderful gift! Get it today. 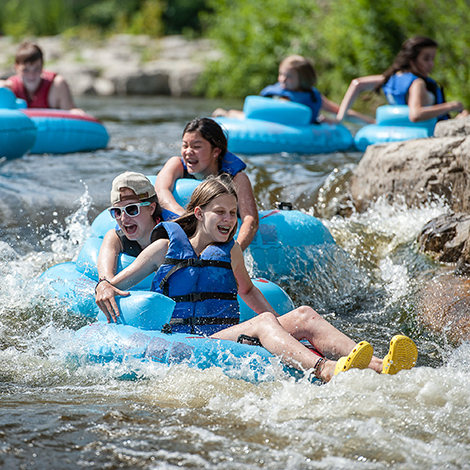 Tubing has become a popular way to enjoy the river. If you are considering a trip through Ann Arbor’s Argo Cascades, get essential info on best routes, parking, staying safe and having fun, whether you own a tube or need to rent one. Details HERE. Welcome to the Huron River Water Trail! 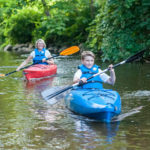 The Huron River Water Trail is a 104-mile (167 km) inland paddling trail connecting people to the river’s natural environment, its history and the communities it touches in Michigan’s Lower Peninsula. From the rapids at Delhi and Dexter to the placid flat water at the entrance to Lake Erie, a variety of paddling experiences await you. 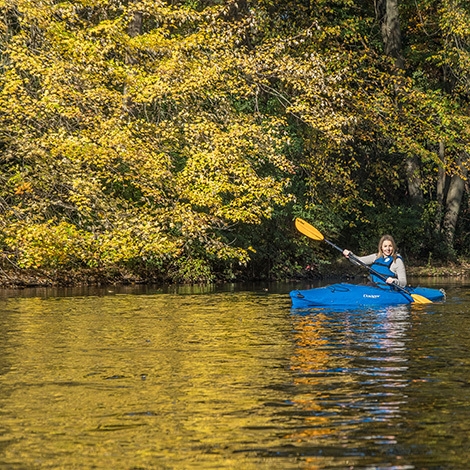 For kayaking, canoeing, fishing on a fly, and other freshwater pursuits, follow the Huron River Water Trail to learn what others already know – that Huron River is a Michigan treasure worth exploring. The canoe livery at Gallup Park in Ann Arbor currently offers the only universal access launch on the Huron River Water Trail. Click here for more information on how to use the launch. The Huron has been designated as the 18th trail of the National Water Trail System, joining a network of nation exemplary water trails from Puget Sound to the Hudson River. Details here. Click here for recommended trips to start your paddling adventure on the Huron River. Click here to make a donation to support the Huron River Water Trail. 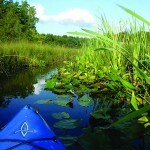 Click here to purchase the Huron River Water Trail Paddler’s Companion, an essential guide for your trip on the river.